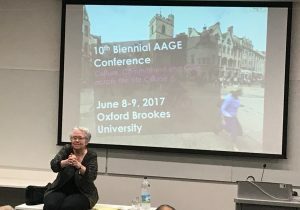 The Association for Anthropology, Gerontology and the Life Course held its Biennial Conference meeting at Oxford Brookes University, in Oxford, United Kingdom this past June 8th and 9th. C The theme, “Culture, Commitment, and Care across the Life Course,” provided an opportunity to expand our perspective of the anthropology of aging by taking a comparative perspective on youth and seeking to explore the continuities between early childhood and the life-long process of aging. With a program packed with thought-provoking and relevant information, it was hard to choose what sessions to attend! I particularly enjoyed chairing the session on the Cultural Constructions of Age in Law and Policy, which pushed me to reflect on the categories of dependence that both children and older adults are forced into by legal entities, and the methods of resistance to these categorizations. In particular, Julie Spray’s ethnography of the “child as responsibility and the responsibilized child” from Auckland, New Zealand and Chloe Alexander’s work on representations of young carers and the public/private divide in Birmingham, UK invited us to question how age categories shape our vision of personhood. Yesung Lee from Seoul National University (South Korea) described “Dream College” a unique institution in South Korea for persons with mental disabilities. Her talk made me wonder what will happen to persons with disability who “age out” of already limited social spaces for them to occupy?…a pertinent question in any context. Science, technology and design were also a theme throughout the conference. Diana Erandi Barrerra Moreno, a student at the University of Bristol (UK), is looking to transform her knowledge as a software engineer to transform the lives of older adults through connectivity and story telling. Matthew Lariviere, University of East Anglia (UK), questioned the legitimizing narratives of telecare being promoted by health care organizations versus one caregiver’s personal use of CCTV for person with dementia. My colleague Ebru Ozer and I (Florida International University, USA) presented on an experiment on open space design of an urban linear park, that brought together landscape architecture students and community older adults for “age-friendly” designs that could promote social engagement. Meanwhile, Sajith Gopinath (National Insitute of Design, Gujurat, India) similarly brought together youth and older adults to conduct an intergenerational experiment on design and storytelling. Mary Catherine Bateson’s keynote on “The Age of Active Wisdom: A New Stage in Human Evolution?” and Pia Christensen’s keynote address on “Youth, Vitality and Generosity: Towards an anthropology of care and commitment for the 21st Century” made me think about what I can learn about aging from the young and how we prepare to age throughout the life course. 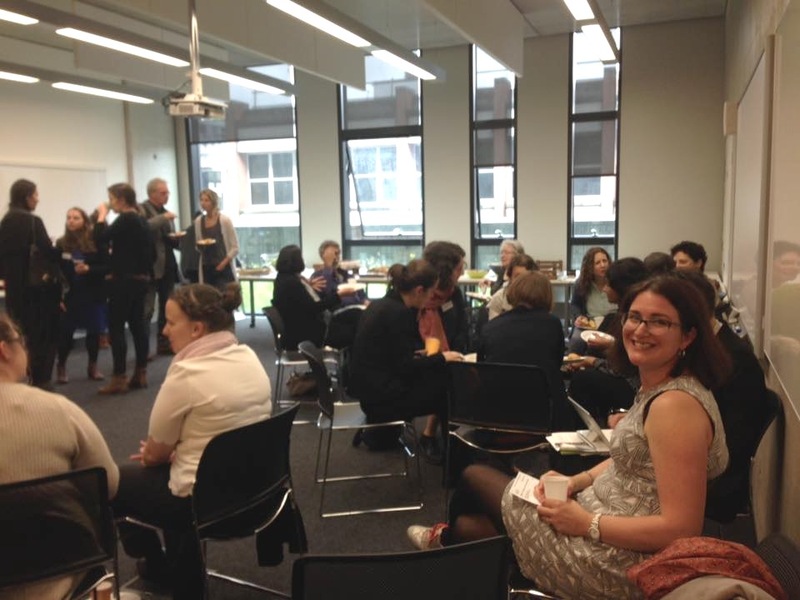 Mid-day breaks filled with delicious cakes, coffee and teas, as well as plentiful lunches, provided an opportunity to catch up with colleagues and make new ones from around the globe. 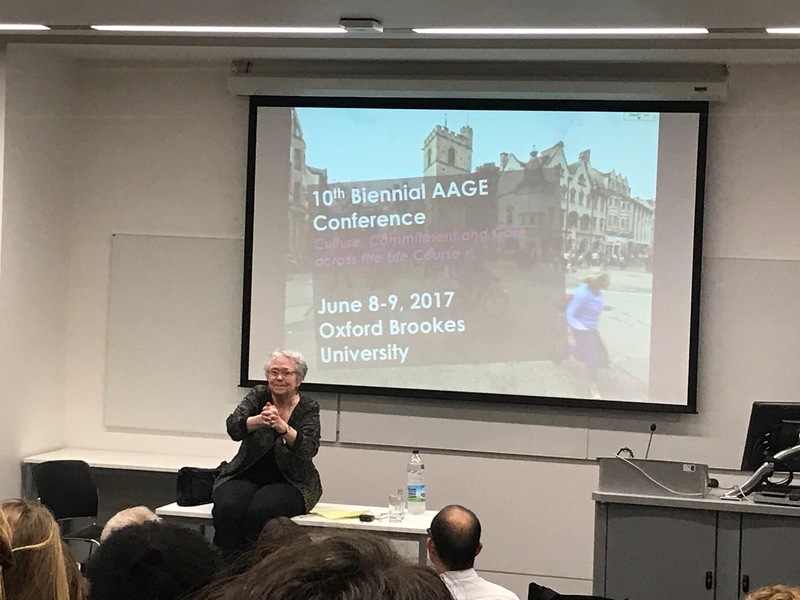 I was glad to have made the trip “across the pond” to be part of this fantastic event and look forward to the next AAGE conference! As past-president of the Association for Anthropology,Gerontology and the Life Course (AAGE), I am interested in mentoring anthropology students in careers in aging and the health sciences. I am currently Endowed Chair in Gerontology and Director of the Center for Successful Aging at CSU Long Beach's College of Health and Human Services. I have a joint PhD in Anthropology and Population and Family Health Sciences (Pubic Health) from the Johns Hopkins University, and have been working in Public Health and Medicine conducting research and teaching on social and cultural factors influencing health throughout the life course, with an emphasis in aging, immigration, and Latin American populations. I have experience working with with local, statewide and international government agencies. Spectacular review on the conference papers and keynote address. 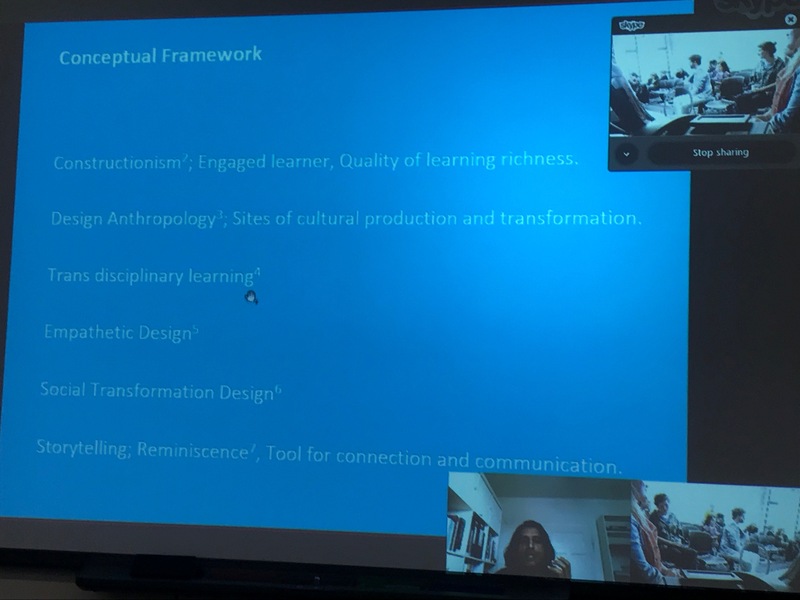 I really honor your interest interested in mentoring anthropology students in careers in ageing and would like to connect you for your mentoring support for my study. I am a matured student of Gerontology Program Specialized and Minor in Medical Anthropology at Laurentian University/Huntington University in Sudbury, Northern Ontario. I also presented my paper on Bura Janko – Honoring Old Age Culture in Nepal, South Asia at the conference. I should be most grateful for your generous support in this endeavour.